When I was in LA I caught many distant glimpses of the Capitol Records building. Taking pictures of those glimpses became a bit of a project for me, but with limited success. 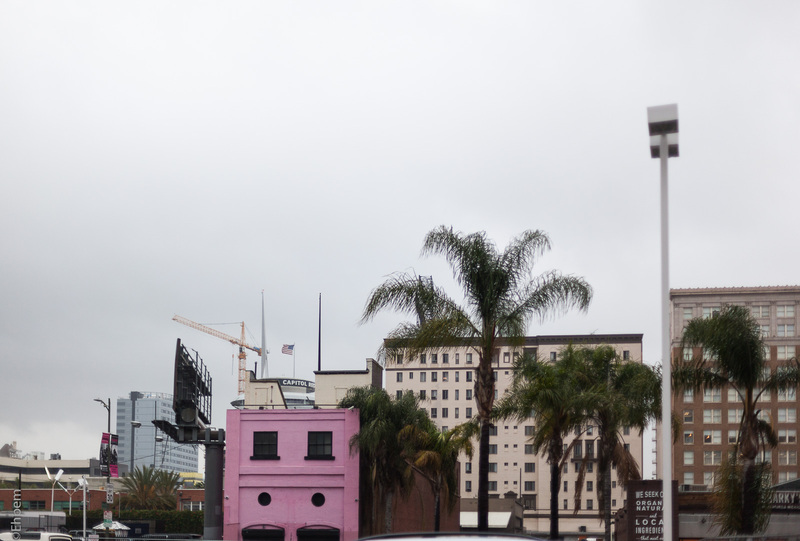 I like this – I like the mix of it, the Capitol building, the “Organic, etc”, the pink building and the palms. LA is fascinating, streetscape-wise. Thank you Lynn. I like this photo too. The pink building is essential though, the photo just doesn’t cut it in black and white.